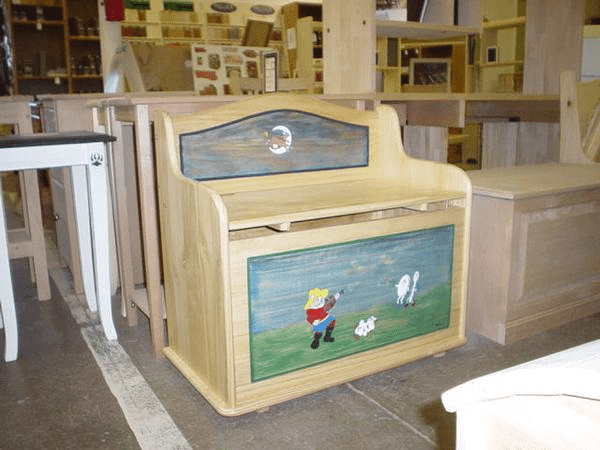 Hand painted the theme from the nursery rhyme….Hey Diddle Diddle the cat and the fiddle on this toy box. This toy box is made of pine and has lots of storage room for all those kid things. We could put any design on a toy box for you…just let us know what you desire.